For years (not exaggerating) we have lamented the lack of good breakfast options in Dakar. Sure, there’s the Radisson and Terrou-bi if you want a splurgey buffet where you eat way more than you should in order to justify the expense. Or there are a dozen little salons de thé offering variations on a formule petit déj featuring croissants and toast (often both for some unknown reason) with jam, yogurt, orange juice and coffee or tea. The sugar and acidity in those combos are just not appetizing to me, not to mention the lack of substance. Today I’m sharing one of my prized secret spots (gulp) because it’s just too good to keep to myself any longer. The breakfast at La Demeure includes a large basket of breads and pastries from La Graine d’Or as well as their homemade crepes, a selection of Zena jams, Nutella, cheese spread and butter, your choice of two fried eggs (ask for them well done if you’re American!) or a delicious veggie omelette, fresh fruit salad, orange juice and either coffee or tea IN A POT THAT THEY WILL REFILL. Forgive me as I wipe away a tear of joy. Call or send a text message a day ahead to reserve. Breakfast begins at 9am. The service is not super speedy, but it’s not the kind of environment that you want to rush out of anyway. This is a lazy morning with friends or mid-morning brunch date kind of place. OMG I need this place in my life. Double date there one of these days? I know our hubbies keep pretending like they’re gonna plan to get together…. Convinced! All set to take my sweetie there also! For another recommendation, we just had breakfast at QuikSilver in Ngor and were very pleased. Eggs, croissants, coffee and juice for 4,000cfa. Evidently, they have pancakes on Sundays. There is a small pool and greenery. You can eat inside or out. 6000cfa for a breakfast of pastries, juices and some spreads…thats insane in a country where most people cant afford a 300-400 cfa breakfast sandwich. I could never justify spending that much for breakfast. That being said I don’t get an American level salary. You’re right, it is insane for juice and pastries. Which is what most salons de thé in Dakar charge. My point is that this place offers quite a bit more (omelettes, fried eggs, crêpes, fruit, coffee, tea…) for the same price – and in addition they support local businesses such as Zena and la Graine d’Or while creating jobs and a very pleasant work environment for their staff. The owners are to be commended for this. Erik Kayser in Plateu also does good breakfast foods…I love their omelettes. 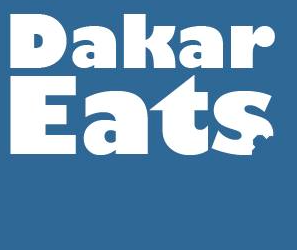 I am very honored to be in the Dakar eats’ site. Our new tea lounge offers the brunch from 09 to 13h30 on Monday until Saturday and on holidays. At noon we offer a menu of the day, salad, or sandwich daily prepared with fresh ingredients.